James A. Morone visited Zócalo to discuss why the healthcare debate is so nasty. 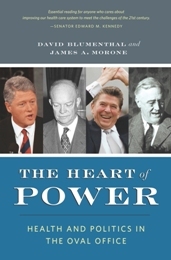 Healthcare reform has vexed most every president since Harry Truman, as Morone, author of The Heart of Power: Health and Politics in the Oval Office , explains below. Every time the issue comes up (and it has come up often – 1946, 1949, 1962, 1964-5, 1974, 1979, 1991-4 and 2009), the rhetoric runs long, loud, and hysterical. Why so hot? Because big health reforms always plays out on three different levels – every one one of them a killer. First, the debates rest on honest philosophical differences: Basic rights versus market competition, communal good versus private responsibility, government provision versus private insurance. Here is a rare policy area where one side flatly excoriates markets and proscribes government while the other blasts government and touts markets. Health care has become a badge of shame for liberals (“we’re the only nation without national health insurance”) and a point of pride for conservatives (“we’re the only nation without national health insurance!”). The death panels are just the latest in a long line of monsters that seems to speak to a generation’s anxieties – not just for health care but for the nation itself. Democrats always – always, every single time – get taken by surprise. Their full page newspaper ads during the Truman years were, to say the least, defensive: “The President’s Plan is NOT socialized medicine.” But the fears are real and can be answered – not by dismissal or denials or disdain – but by hopes and dreams that go as deep as people’s anxieties. Finally, as if all that were not enough, the battle for health reform invariably becomes a battle for political control. Harry Truman’s famous come-from-behind 1948 election victory prominently featured national health insurance. The first square-off during the 1960 election campaign saw the candidates, Vice President Richard Nixon and Sen. John F. Kennedy, furiously working the Senate for their competing health plans. The boomerang from the Clinton health care reform failure led, three months later, to the widest Republican midterm sweep in the 20th century (victories in the Senate, House, state legislatures, and governor’s offices in November, 1994). And as Sen. Jim DeMint has so helpfully pointed out, we stand once again at Waterloo. If the Republicans blunt the Obama plan, they seriously injure the administration; if Obama wins a significant reform – managing what FDR, Truman, JFK, Nixon, Carter and Clinton could not – he becomes larger than life. On this last political score, the Clinton episode offers a political lesson that the Democrats seem to have completely missed. Many Democrats are moving to whittle back health reform in order to win over moderate, fence-sitting, frightened independents. Go back and look at the midterm tsunami that swept the Democrats out of office the last time. The turnout for that wave was just 36 percent. Moderate, fence sitting independents don’t vote in midterm elections with a 36 percent turn out. What really happened back in 1994? The Republican base – jubilant, mobilized, and angry – turned out. The Democratic base – dispirited, disenchanted, and demobilized – stayed home. As Democrats ponder which way to go in this latest round they ought to read the political lessons more carefully: Short term electoral success rests with the base, the people who got excited about “change we can believe in.” Long term electoral success rests in designing and pushing through a program that then grows very popular. In fact, Medicare passed with only 10 Republican votes in the House and quickly grew extremely popular; Democrats began warning voters about the nefarious Republican plans to scuttle Medicare so often that a new word slipped into the American political lexicon: Medagogue, verb, to demagogue the health care issue. Somehow, the Republicans have managed to steal the Democrats signature move. So keep those seatbelts fastened, there’s lots more turbulence ahead. It is such a political circus because it has three rings – and every one of them matters: A great debate about the nature of health care policy. Lots of anxieties about the state of the nation. And a possibly decisive battle for control of Washington, DC. It may not be pretty. But it is the way we’ve been doing health policy since Harry Truman first tried it in 1946. This piece was first published as a blog post for The Washington Post and was provided courtesy of James A. Morone.